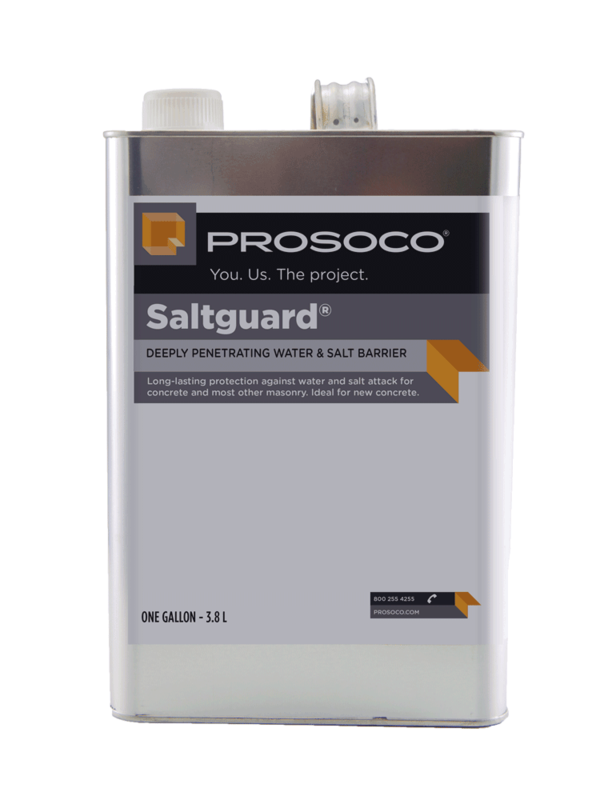 244 Salt Screen Additive turns any LS or LS/CS application into a powerful protective layer against chloride salts. De-icing salts can attack concrete, but when 244 Salt Screen Additive is mixed with LS or LS/CS, it penetrates and chemically bonds deep within the concrete to provide long-lasting protection against water and water-carried salts. 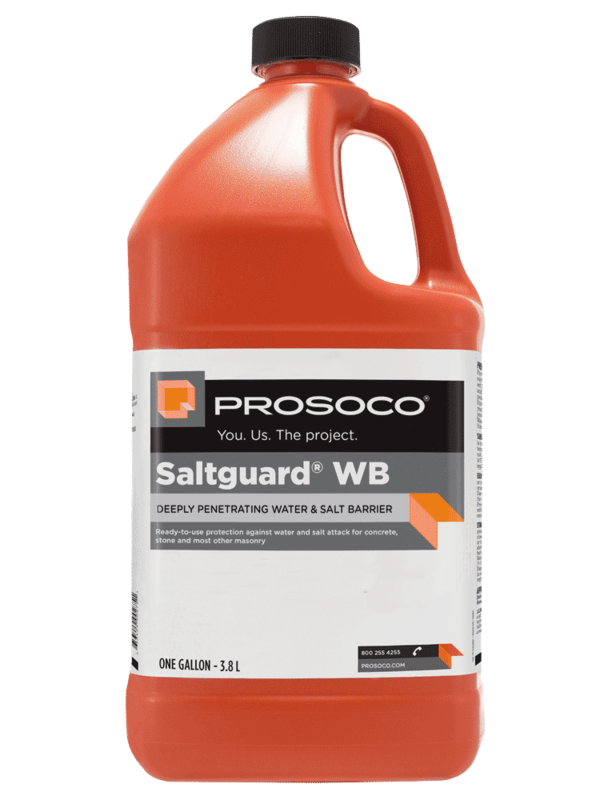 One easy application provides hardening, dustproofing, and moisture and salt protection. 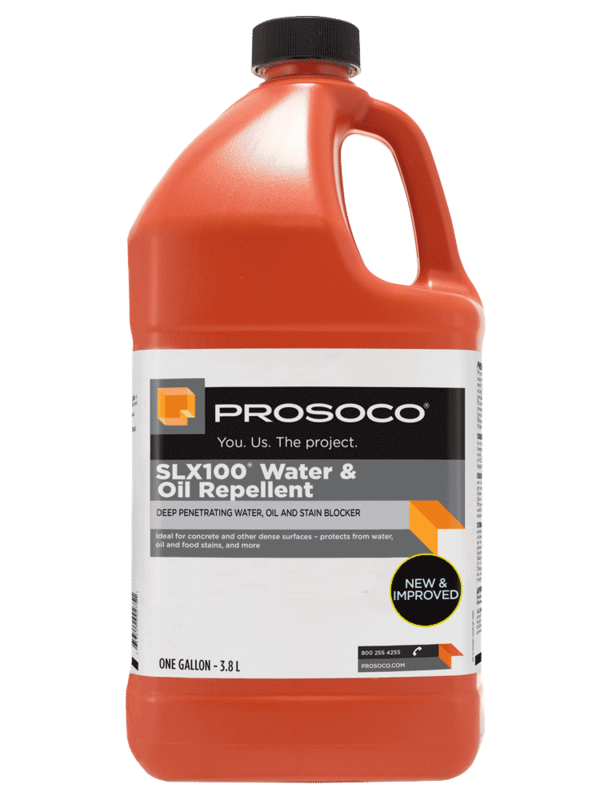 Low-odor, water-based formula minimizes explosion and fire hazards associated with alcohol- or solvent-based water repellents. 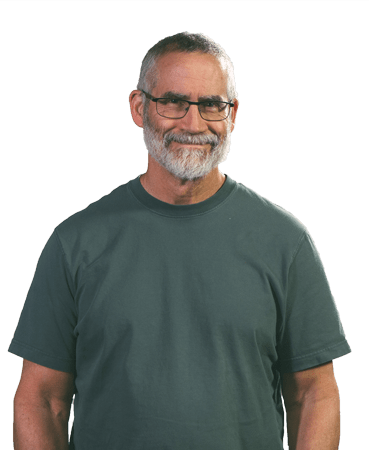 COVERAGE RATE200-700 sq ft/gal. 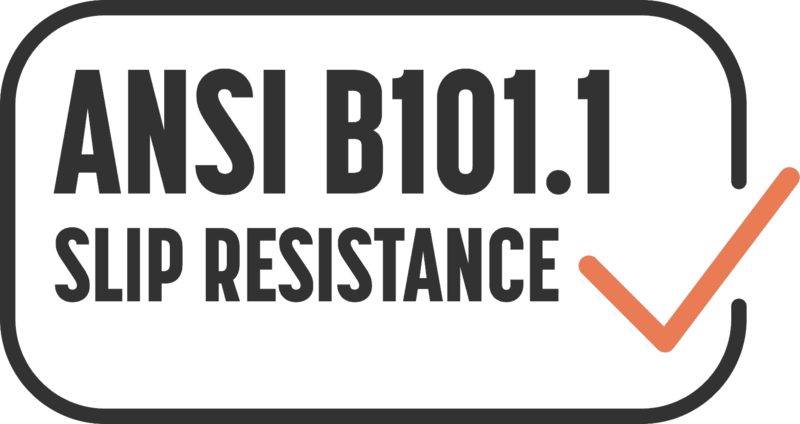 See Product Data Sheet for specific coverage rates. 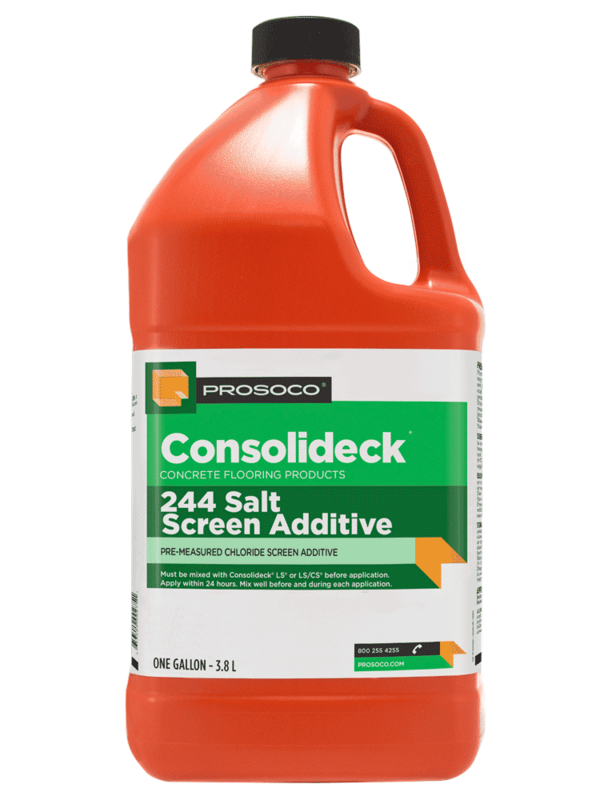 Consolideck® 244 Salt Screen Additive is a pre-measured, water-based, VOC compliant silane/siloxane water repellent and chloride screen concentrate specially formulated for mixing with Consolideck LS or LS/CS. 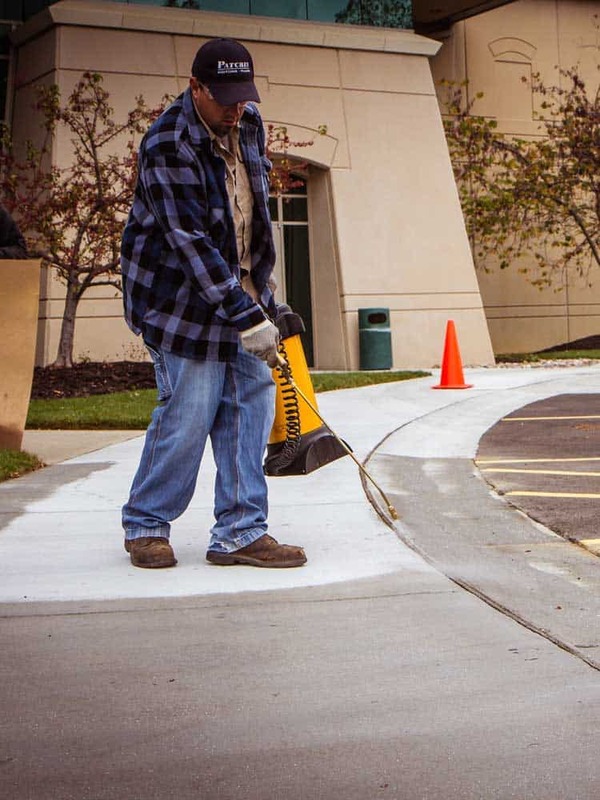 Properly mixed and applied, 244 Salt Screen Additive hardens, dustproofs and protects horizontal and vertical concrete surfaces from abrasion, moisture intrusion, and chloride salts – all in one easy application. Penetrates and chemically bonds deep within the concrete to provide long-lasting protection against moisture intrusion and water-related staining or deterioration. Must be mixed with Consolideck LS or LS/CS before application and applied within 24 hours. Mix well before and during each application.